In its offer of jewellery, Christofle alludes to its roots as a jeweller when it started before 1830 with a single shop in Paris. True to its name as a silversmith most of the collections is in sterling silver .925. In 2015, some of its most popular designs have started to appear in gold and diamonds. The latter though are not yet available worldwide. For its collection Christofle has hired successful designers to transform silver into wearable pieces which easily take a woman from the boardroom to the ballroom. The collection offered here reveals the most popular and iconic pieces. Christofle’s new collection of jewellery in yellow gold, pink gold and clear and black diamonds is only distributed in certain countries, to the exclusion of Australia and New Zealand. We are deeply sorry of the inconvenience. This website will be updated if and when we are able to present the new gold and diamonds Idole and Rivage collections. Of course, Christofle offers rings in basically every collection shown herein. However, since sizing often varies per country and certainly varies according to the seasons, we will not be presenting our ring collection on this website as mistakes in ordering are inevitable. 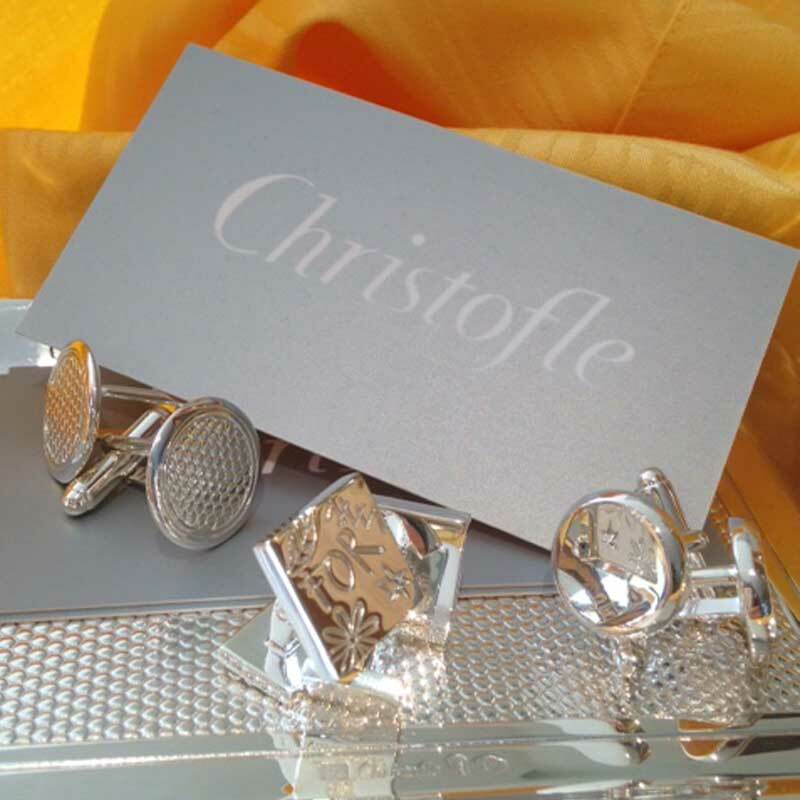 Please see the Christofle boutique to try on the rings of your choice. Sizing are generally offered from size 49 to 59 in most designs since many of our rings are designed to fit men and women alike. We look forward serving you in store.